The quintessential tree-hugger, Seattle-mobile? A truly off-road capable cross-over? A luxo-wagon? What is this thing? Probably all of those. 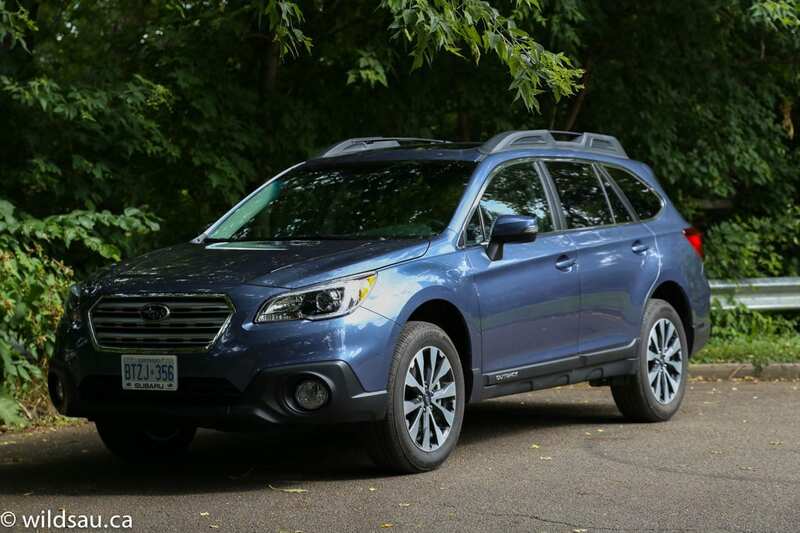 The 2015 Subaru Outback is all-new and has grown up since the first day we laid our eyes on the somewhat ungainly, difficult-to-explain but likable tall wagon. Not only has it grown up, it’s also become significantly pricier. While there’s a touch of sticker shock at first glance, you do get a lot of car for your money here. Bear with me. It seems that Subaru is sticking with some old school stuff in the engine bay. 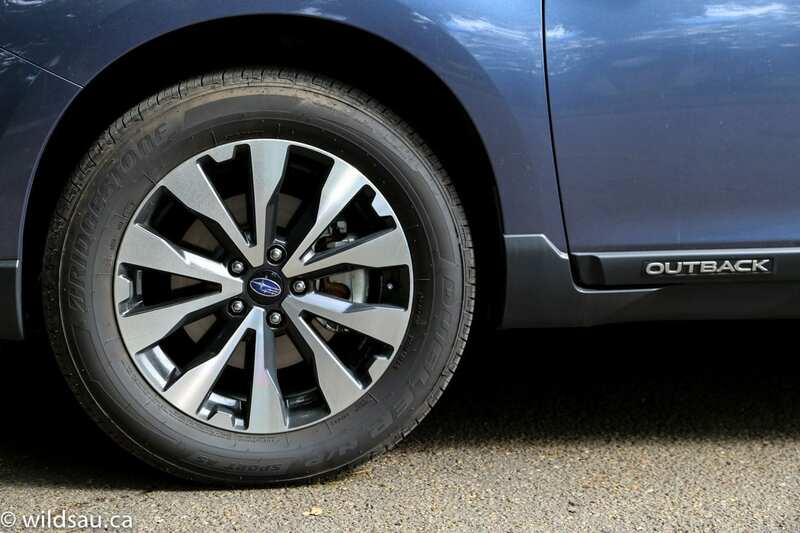 The upper trims for the Outback feature the 3.6-litre 6-cylinder horizontally-opposed engine. Numbers aren’t too exciting by today’s standards. 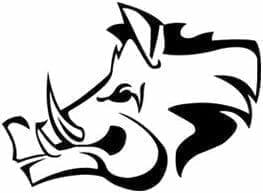 256 horsepower at 6000 RPM and 247 lb.ft of torque at 4400 RPM. 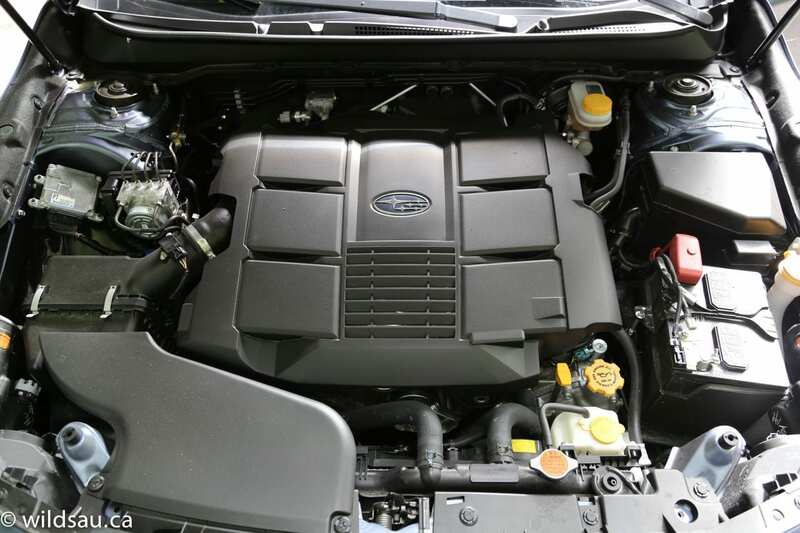 The boxer engine sends its thrills through a high-torque CVT (continuously-variable transmission) to all four corners via Subi’s outstanding symmetrical all-wheel drive. A relatively big displacement engine, shlepping a tall 3845 pound all-wheel drive wagon around isn’t going to set any fuel economy records. 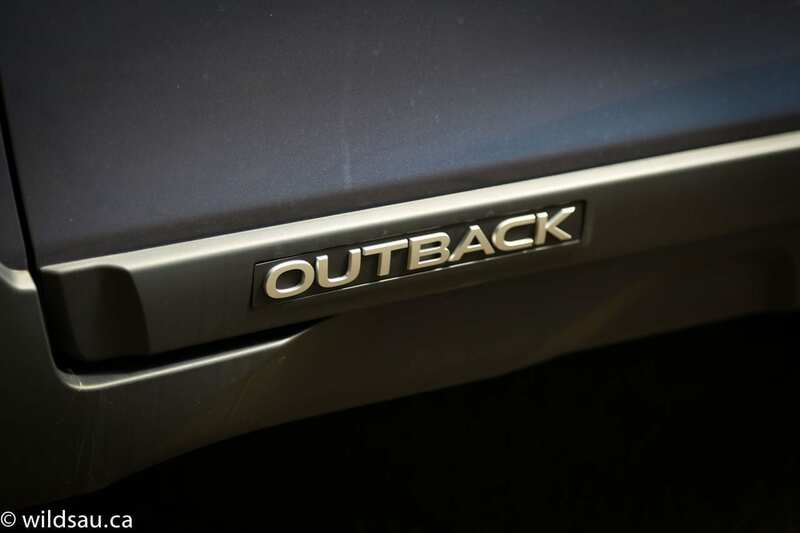 The Outback is rated at 12 L/100 km (20 US mpg) in the city and 8.6 L/100 km (27 US mpg) on the highway. We ended up averaging averaged 12.4 L/100 km (19 US mpg) during our week, which is fine. The fuel tank holds 70 litres and thankfully the car takes regular fuel. The combination of the 3.6-litre 6-cylinder and a well thought out CVT makes for a very responsive drivetrain and acceleration is brisk off the line. I found the CVT to be responsive in almost every situation, more so than the average automatic. I also found less mechanical noises and whining than I expected, and overall, there is nothing to complain about with this transmission. It is very well suited to the car. If you care to manually shift “gears” via the steering wheel mounted paddles, you’ll find a very convincing set of fake gear ratios, and the CVT is quicker than virtually any automatic when it comes to popping up or down into a new “gear”. The Outback feels expensive when you’re driving – the car’s ride is very well sorted out and most of the time it felt downright luxurious. Of course the vehicle is tall and it feels that way when you swing it into the curves. It leans into corners quite noticeably but retains good handling characteristics and confidence inspiring traction. Speaking of traction, the all-wheel drive is one of the most noticeable – even in the dry. In this case, that’s a good thing. Somehow Subarus feel different in how they distribute the power, and every situation seems like it is 100% under control, including some very impressive grip on rain-soaked streets. 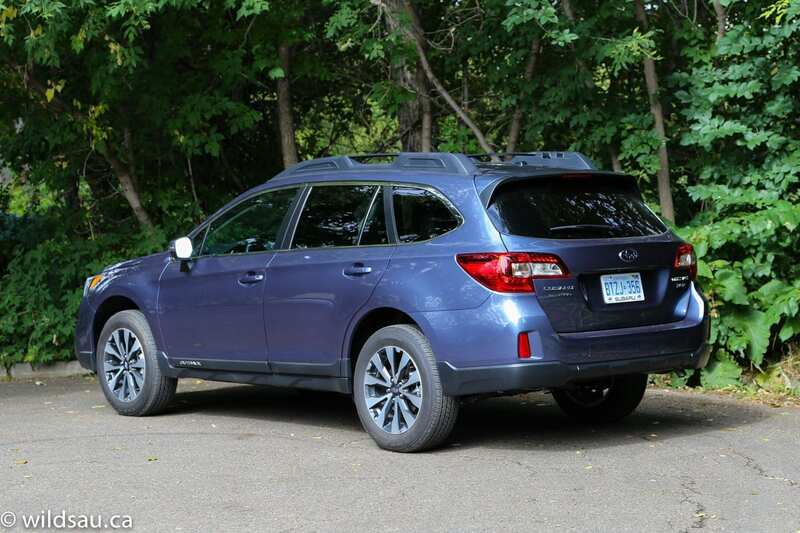 If you’re headed onto the trails, the Outback’s X-Mode will help you navigate things with the help of electronics, and there’s even a hill descent mode. Road noise and engine noise are not really a big issue, but we really noticed the wind noise becoming intrusive at higher speeds. Too bad, because otherwise it’s an excellent highway car. Yes, it’s still a tall wagon that sports SUV-beating ground clearance. The overall shape hasn’t changed much, but there are plenty of refinements throughout. One of the first things I noticed is that Subaru took the plastic trim on the sides down a notch – you’ll find less nods to Tupperware than ever before. The new grille looks great, and it’s flanked by spiffy Xenon HID projector lights. Subaru must have paid close attention to the lights this time around, because in my opinion, even the tail lights look great. This trim has beefy and handsome 18-inch rims which look as good in an urban setting as they do on a dirt trail. Owing in part, I’m sure, to Subaru’s granola-ey-Vancouver/Seattle-ish-outdoorsy demographic, the Outback sports a massive built-in roof rack system. It’s totally integrated and appears to be very sturdy and is likely perfect for a variety of rack systems and attachments, allowing for the transport of bikes, kayaks, roof boxes, etc. I did not get to try it out though. 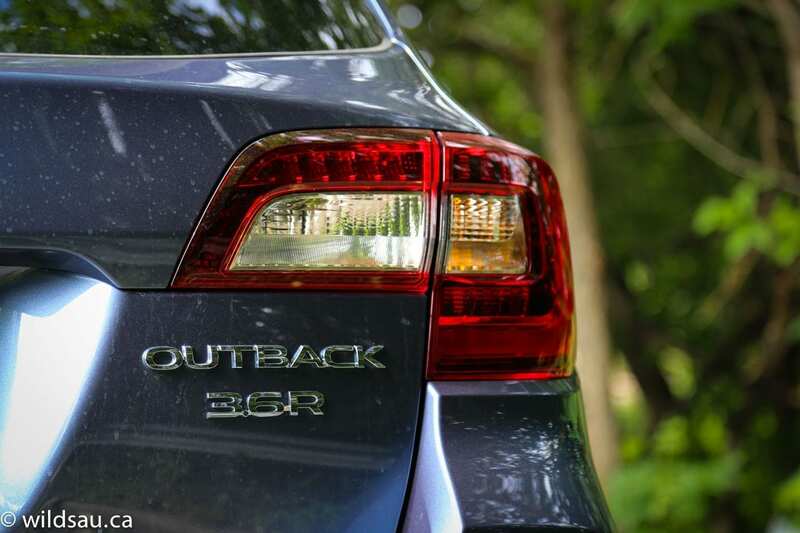 The exterior is well done, but the real surprise for this all-new Outback came inside. I sat down into the wagon and was nearly dumbfounded. Pictures don’t do it justice. 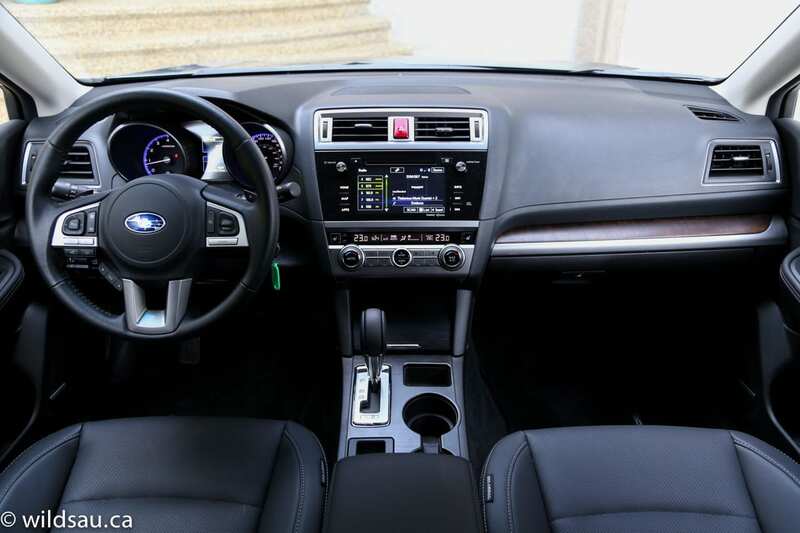 The materials are outstanding, especially for Subaru – there are plenty of soft, textured plastics, a very attractive matte-finish wood trim, perforated door panels and contrasting stitching. As a package, it makes for a beautiful interior and the fit and finish is very impressive. I couldn’t help but take this interior as an assault on the near-luxury class. 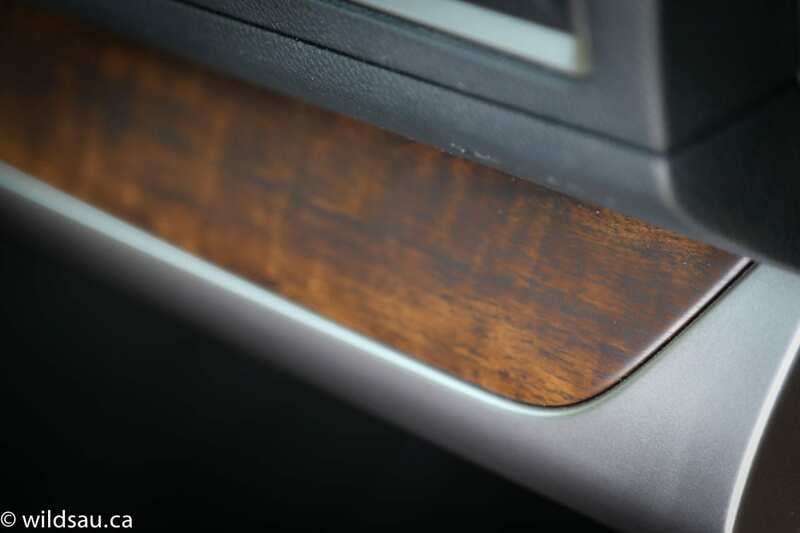 The Outback, in this trim, looks and feels very high end. My previous benchmark for Subaru interiors was the Forester – the new Outback is a measurable step up from there. The space is airy enough, with good headroom but I missed the massive panoramic sunroof from the Forester – there’s a standard-sized one here instead. 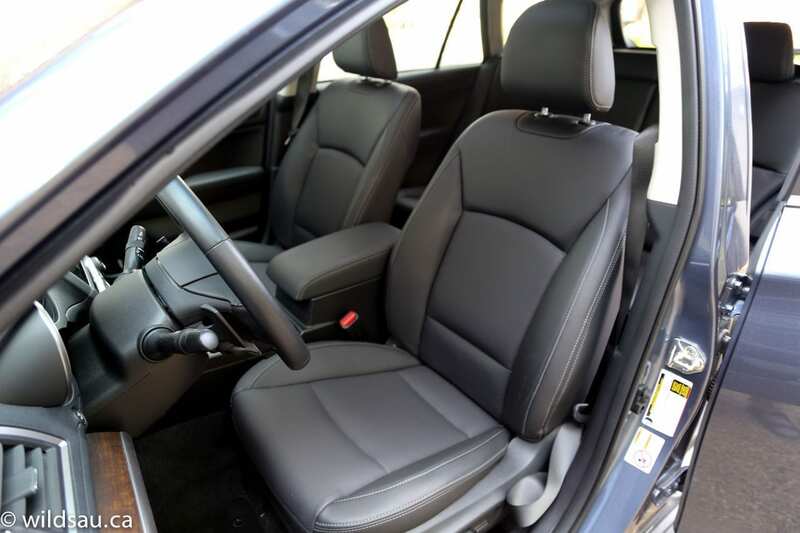 I found the power-adjustable and heated leather seats to be impressively comfortable. They were not as supportive as I’d like – but this car is clearly comfort oriented and I’m OK with that. Ahead of you is a great steering wheel that gets a bit busy with a ton of jobs to perform – buttons for media, the driver information screen, cruise control and the phone are found here, as well as the shift paddles. Two typical gauges sit in the bin, split by an excellent driver information screen. It’s sharp, clean and very useful. Another very pleasant surprise was at the top of the centre stack where I found the 7-inch Starlink screen, Subaru’s excellent new infotainment system. They have done an outstanding job with the user interface in terms of organization and ease of use, and coupled with a sharp, responsive screen with smartphone-like pinch and swipe functions and a 100% reliable voice recognition engine, I would say this is one of the best systems in the industry right now. 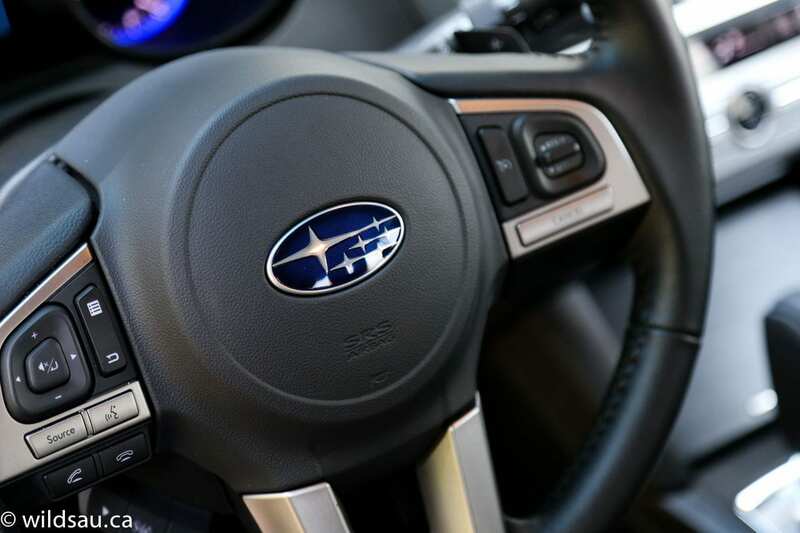 It’s a fantastic way to manage your media, phone, navigation and vehicle information and is obviously the dawn of a new era for Subaru in this department. 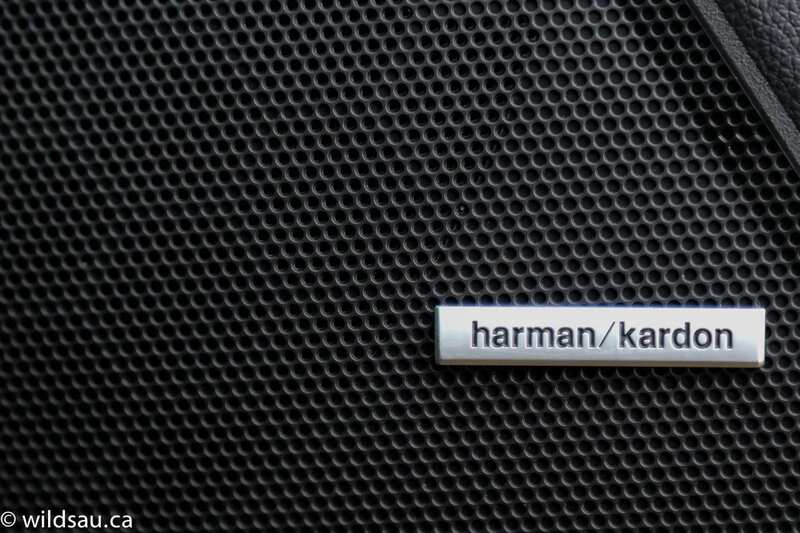 The 576 watt 12-speaker harman kardon system sounds pretty rockin’ too. 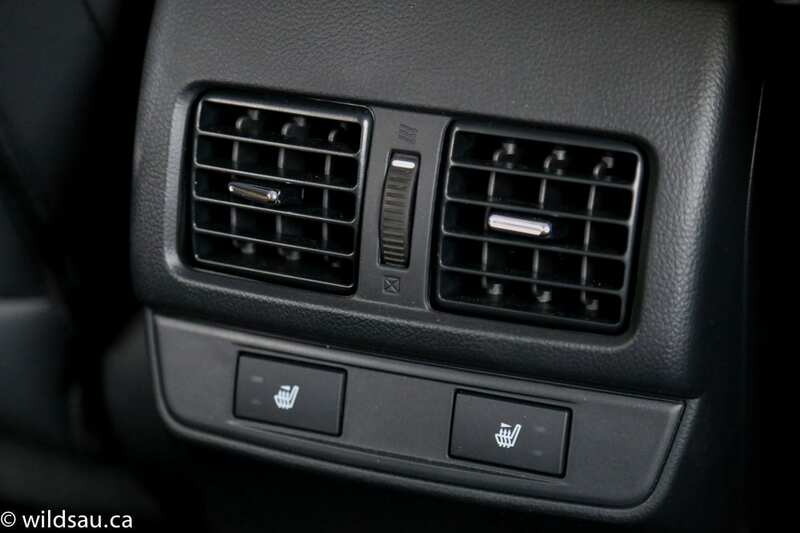 As you’d expect, there is a dual-zone automatic climate control. 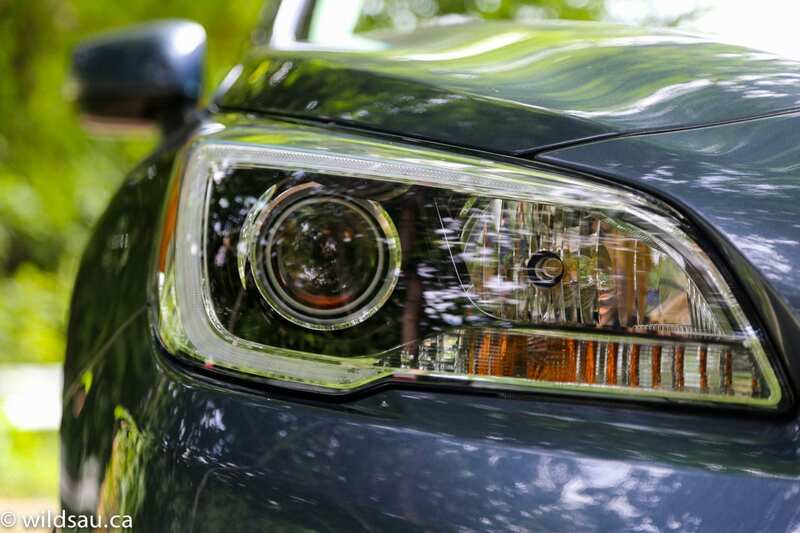 This trim level gets a decent complement of driver assistance technology in the form of blind-spot monitoring, rear cross traffic alert and a rear view camera. I found a couple of strange omissions (especially at this price level) – no keyless entry and no push-button ignition. Frankly it felt strange to start a car this nice (and this expensive) with a key. 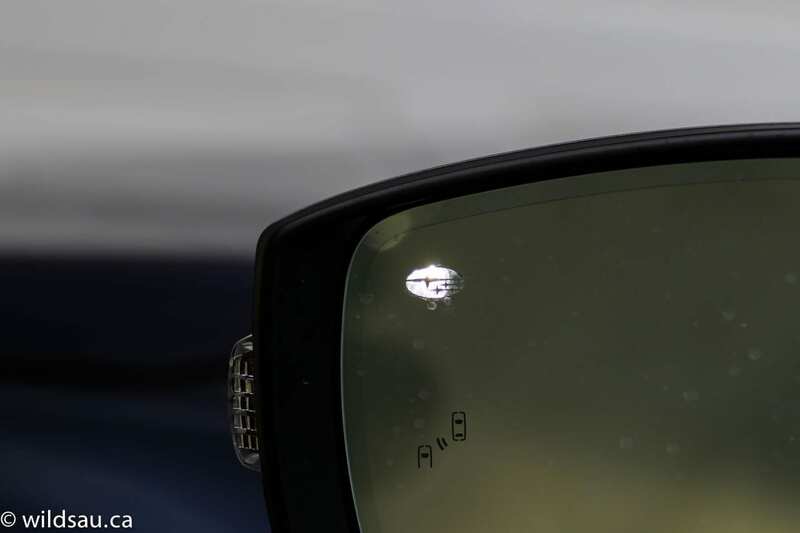 Opt for the $1200 Technology package and you’ll get these items as well as the EyeSight camera-based goodies like lane departure warning, adaptive cruise and pre-collision braking. I normally don’t nitpick too much, but I have to mention the clock. It’s placed in the display strip for the climate control system, and because it’s tiny and stuck among a bunch of other glowing numbers, I was never able to quickly find it. It requires a longer glance away from the road, and I always got irritated by that. In the back are three seats, each with its own headrest. 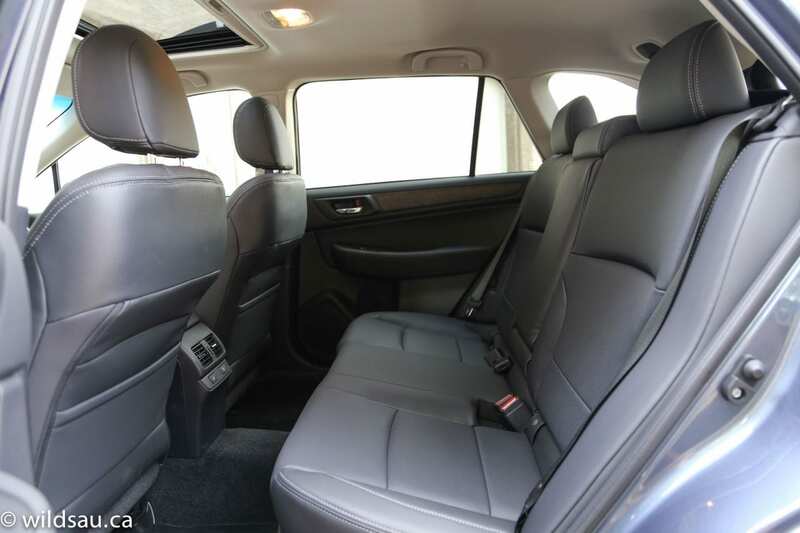 The heated seats are quite comfortable and they also recline, which is unusual for wagons. We found the rear seating roomy with good amounts of head room, leg room and foot room. Unfortunately the big centre tunnel squeezes the middle seating positing for foot space, but it remains usable for adults if necessary. There’s not much going on back there. Some adjustable air vents, two map pockets and a middle seatback that folds down to become an armrest with cupholders. No charging plug, which, in my opinion, is unforgivable at this price. Subaru always does a good job at providing spaces for your everyday stuff. At the bottom of the centre stack (under an angled lid) sits a nice rubberized bin with two USB inputs and a 12V plug. There is a very useful space under the armrest, with another 12V plug and an organizer tray. Pop the power lift gate (which is a contender for the slowest one of all time) and you’ll be greeted by a spacious trunk. 1005 litres to start with. Drop the rear seats, which split 60/40 and can be folded using remote release latches in the trunk, and the space grows to a gargantuan 2075 litres. That’s a lot. Subaru throws in a few thoughtful touches like cool bag hooks on the side, a 12V plug and a removable, retractable soft tonneau cover. 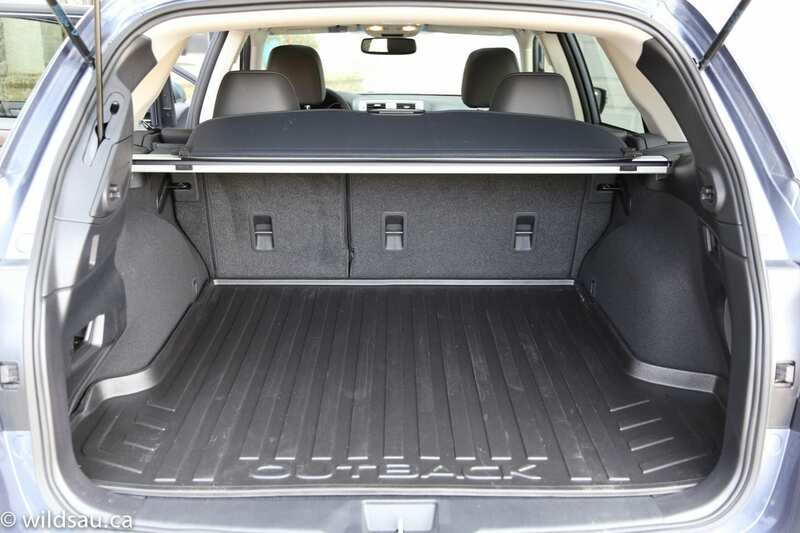 The 2015 Outback is simply stated the right vehicle for most people. Yes the looks are a bit subjective, although they shouldn’t be. Yes, it’s taller than most people think is necessary, but you’ll be happy about that when you’re clearing the snow and you’re able to drive through a ditch or down a crazy dirt trail. 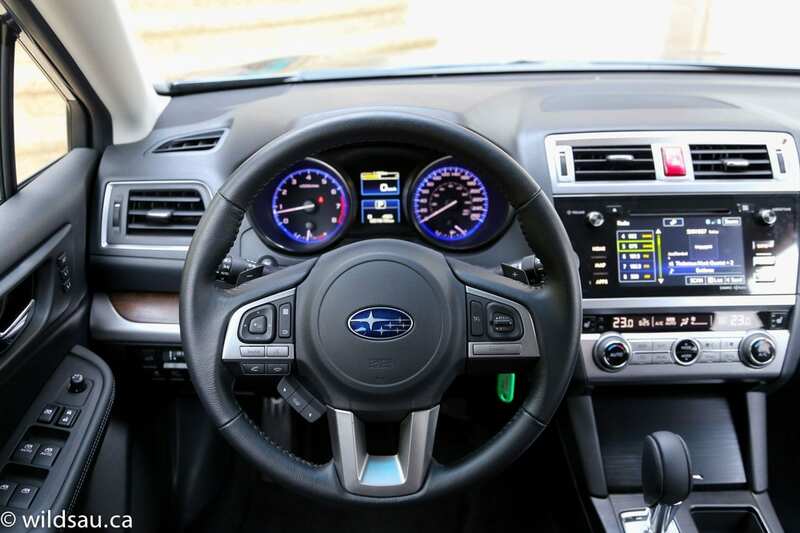 It offers plenty of space, more luxury and tech than you might expect (in the higher trim levels anyway), performance aplenty and a level of refinement not seen in Subarus before. The 3.6 is a good engine, but I’d really love to see the Forester XT’s direct-injected turbocharged 2.0-litre available here. It’s a wonderful match for the CVT and provides a delicious amount of oomph at low RPMS. I loved it in the Forester and I think most people wouldn’t miss the 3.6 if they’d bring the turbo 4-cylinder over to the Outback. WAF (Wife Acceptance Factor) was very high. She wasn’t a huge fan of the Forester, but the Outback really resonated with her. My girl is a wagon fan, and the overall styling appealed to her, as did the fancy-shmancy interior. She loved driving it. I’m a Subaru fan – that’s all there’s to it. And the Outback further cements that into place. 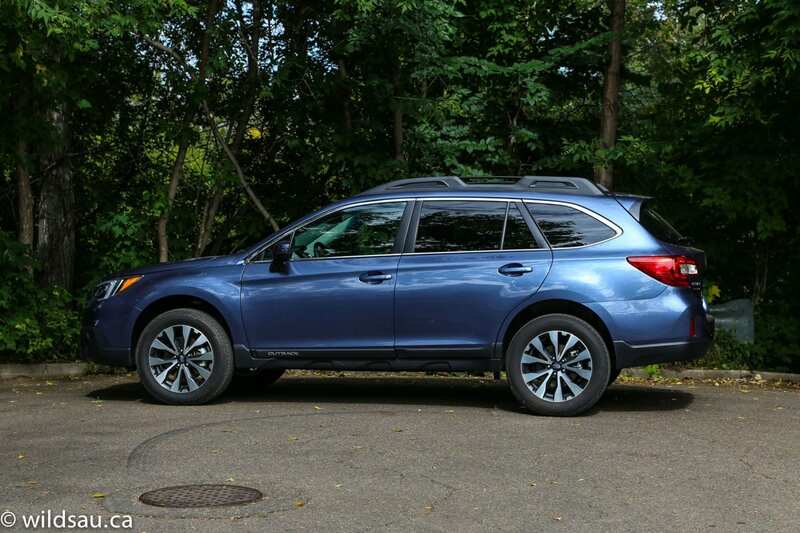 I wouldn’t hesitate to recommend the Outback to most people in North America – it’s probably the right car for you, and you might not have realized it. And no, you don’t have to drop 40 grand on it. They start at significantly lower prices, and you’ll still get a bang-up car, regardless of which trim level you choose. Great job on the new Outback, Subaru. Keep it up – you’re knocking them out of the park in the last few years. 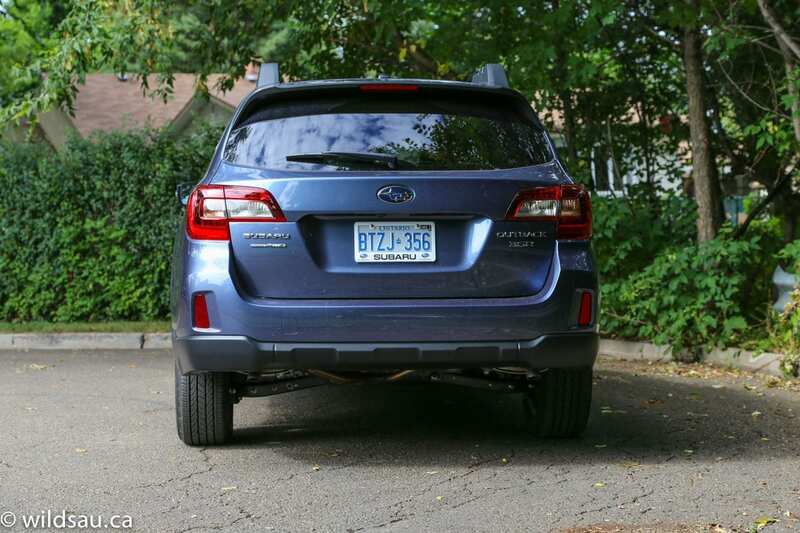 Disclosure: Vehicle was provided by Subaru Canada.